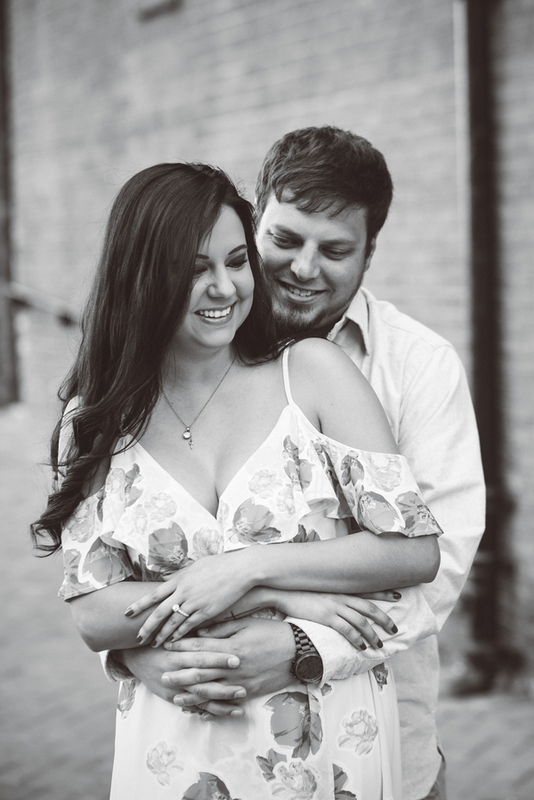 Alana and Trevor met in the workplace in May 2015. 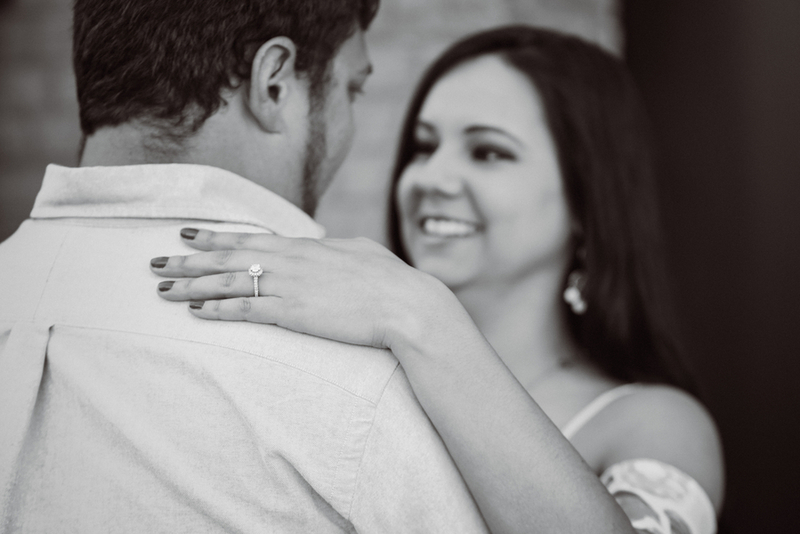 Little did Alana know that from the moment he saw her, Trevor “just knew” he was going to make her his wife one day. 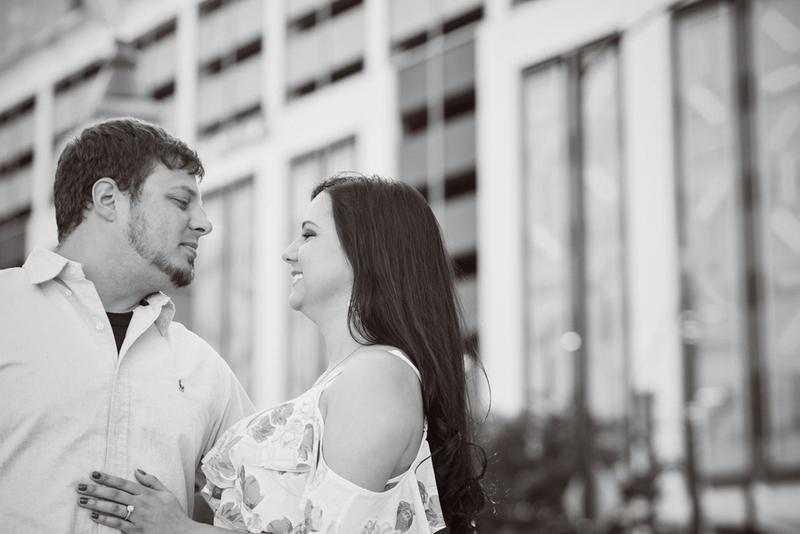 What started as a wonderful friendship eventually blossomed into romance. 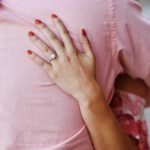 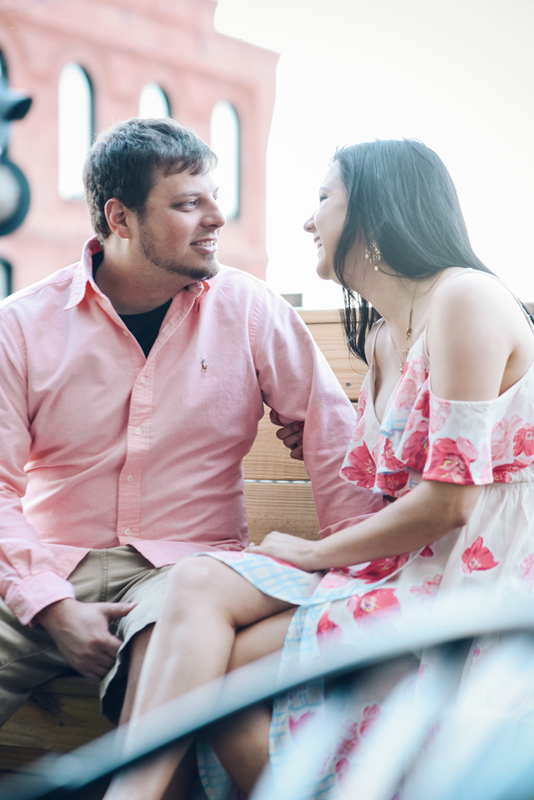 In August 2016, Trevor surprised Alana with a proposal during a cookout with their close friends and family. 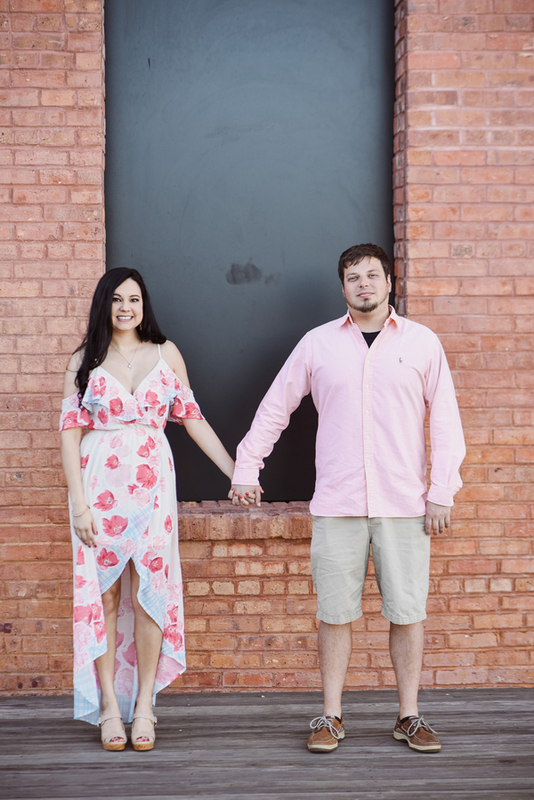 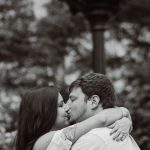 Now, they are busy planning their fall wedding and enjoying every step on this amazing journey together! 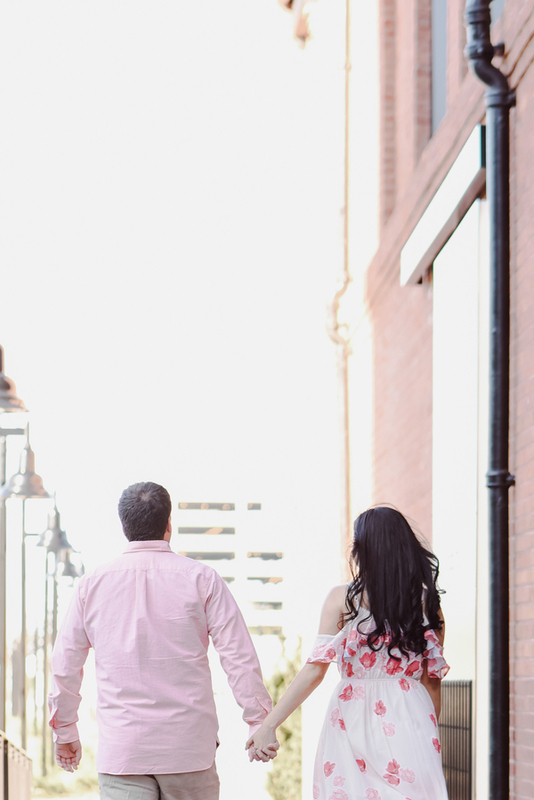 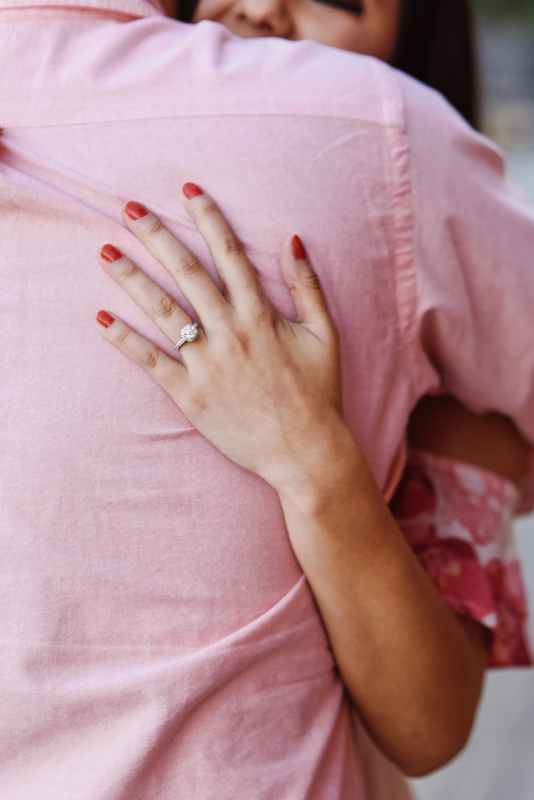 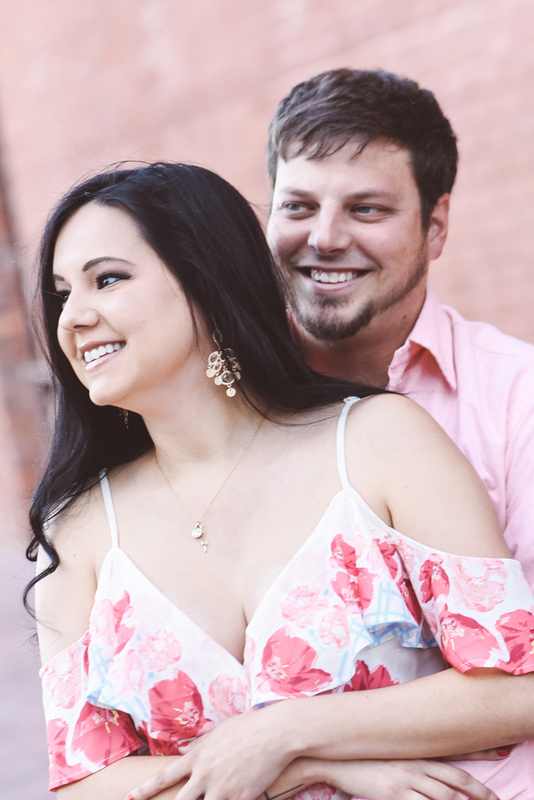 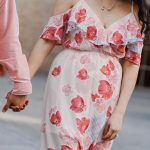 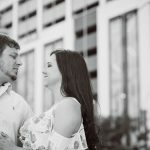 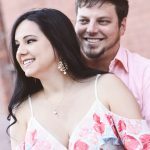 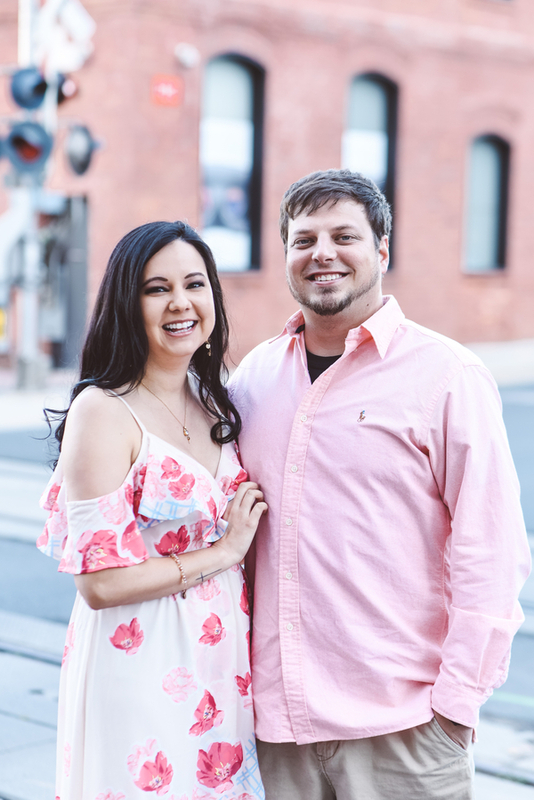 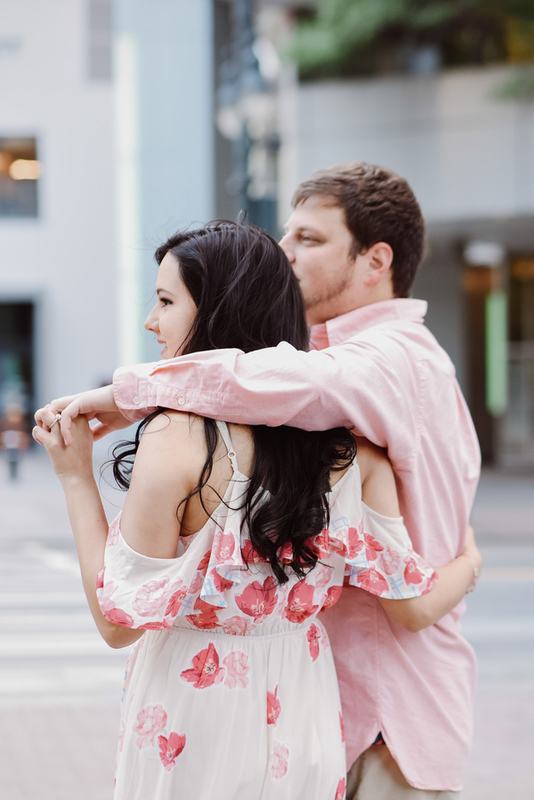 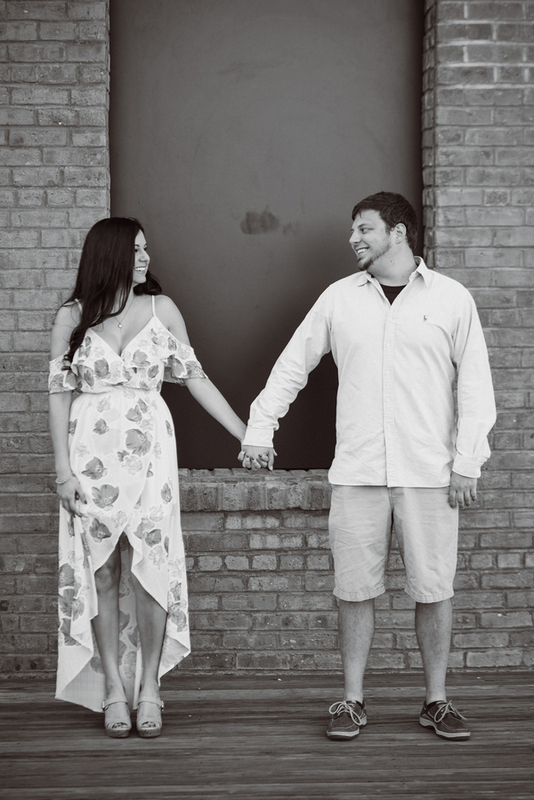 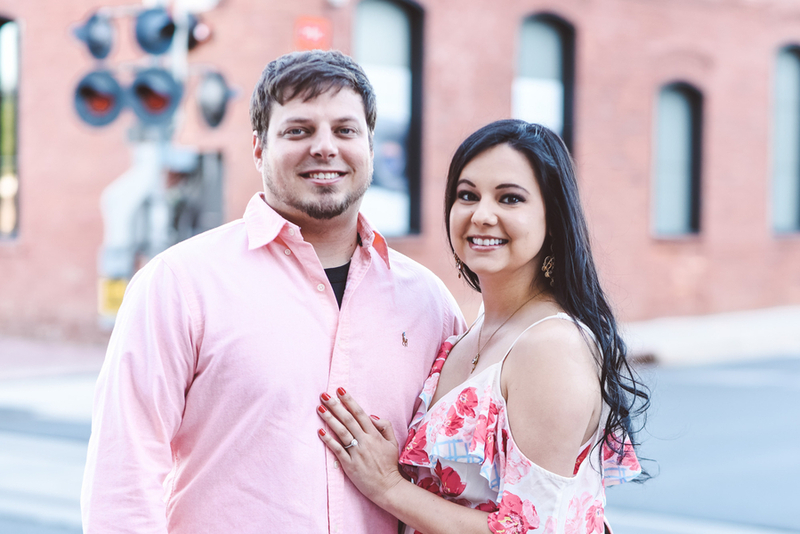 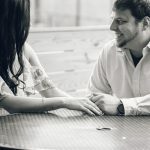 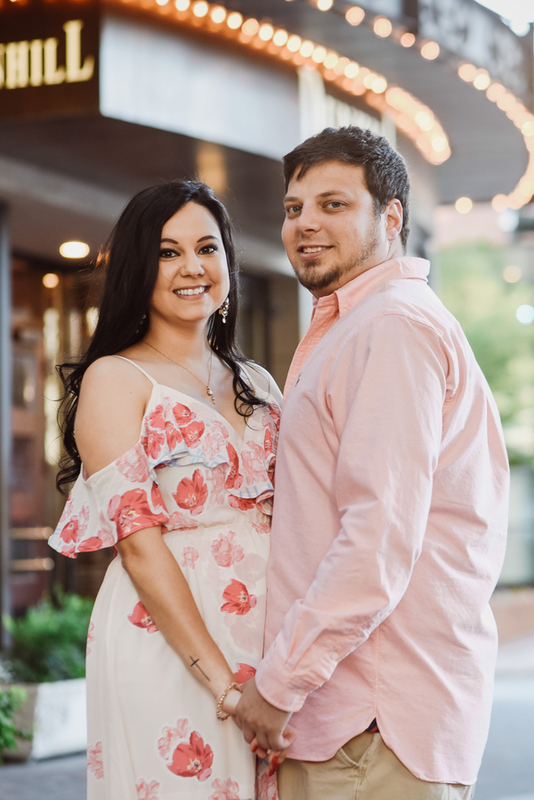 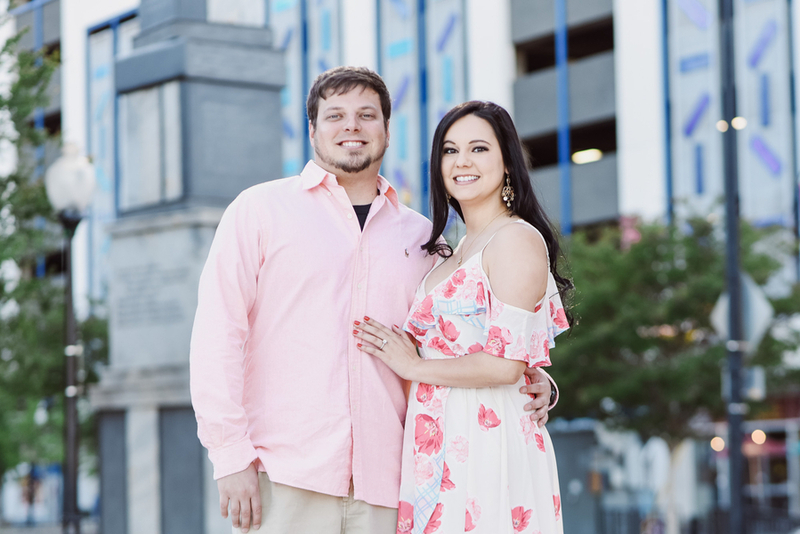 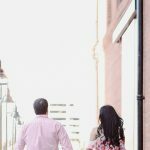 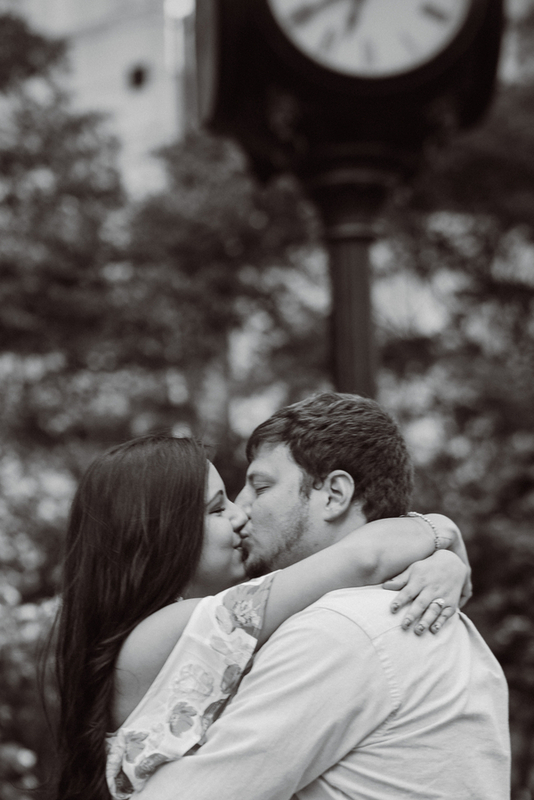 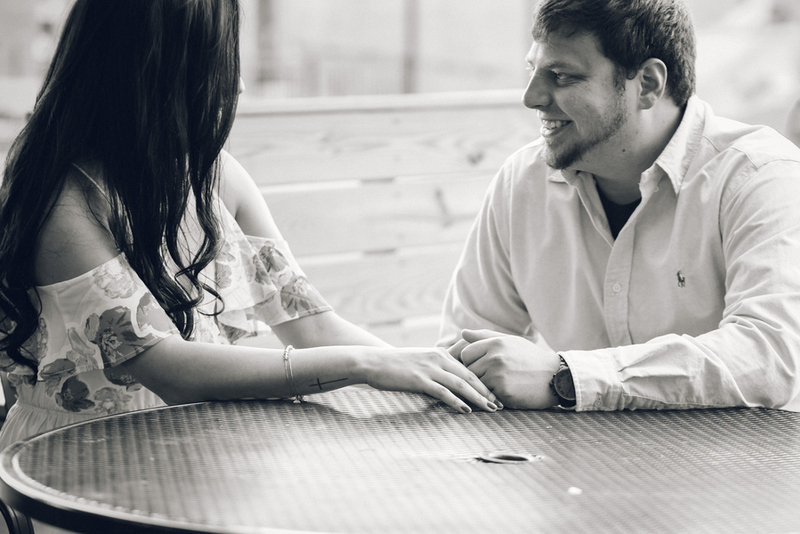 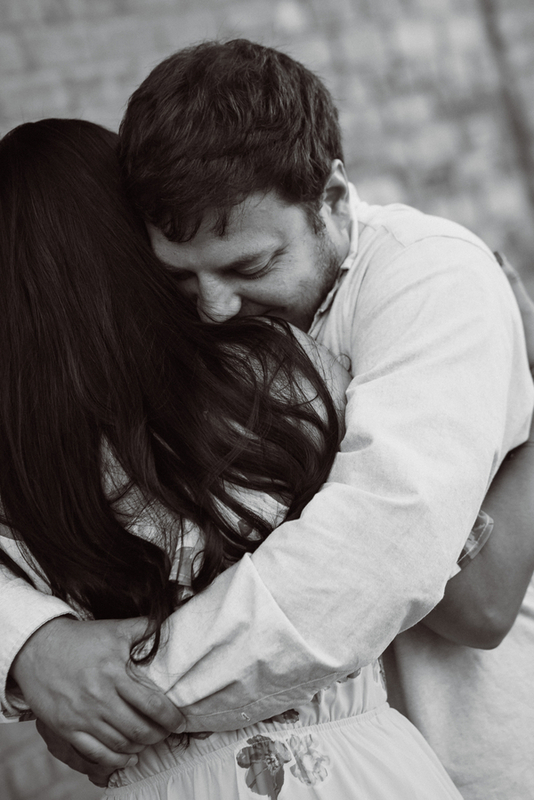 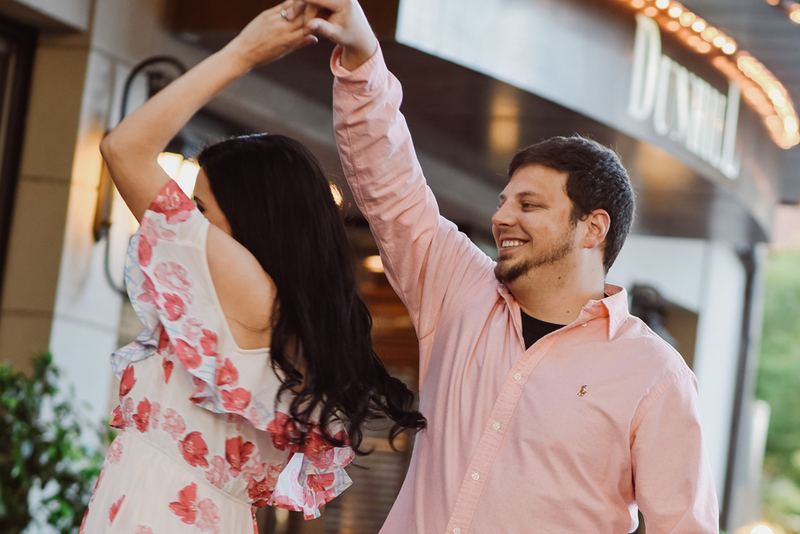 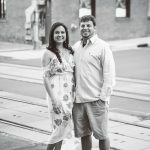 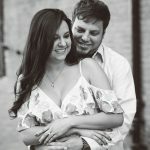 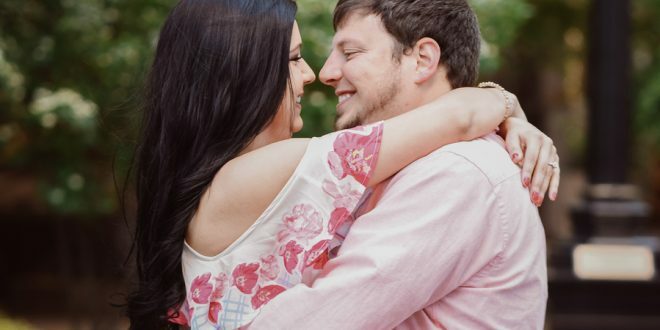 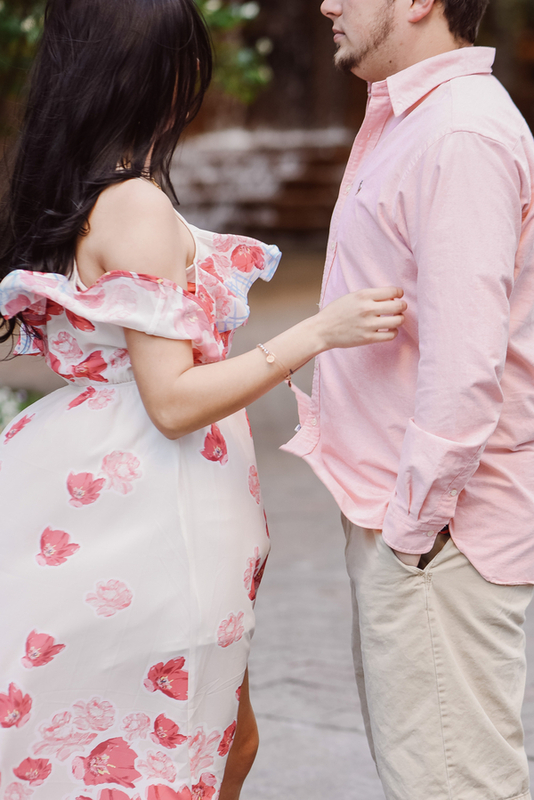 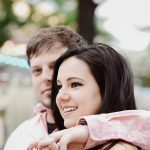 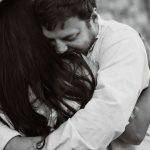 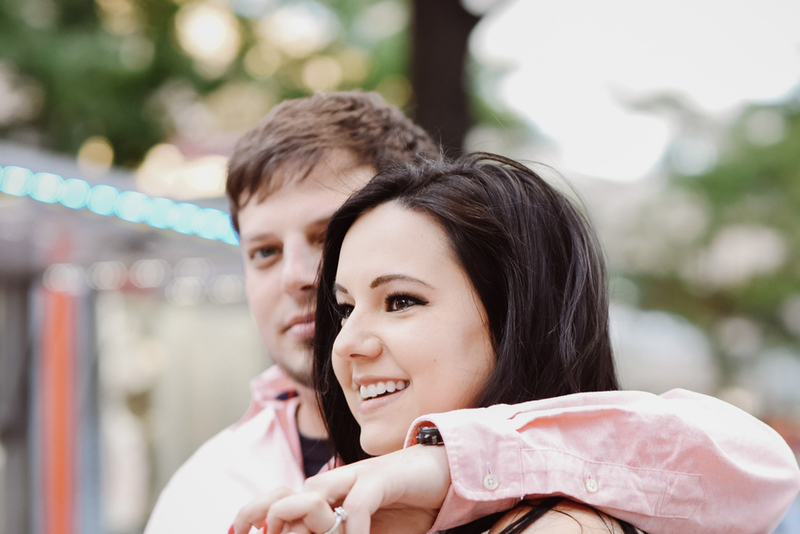 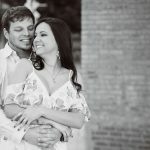 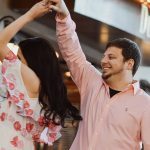 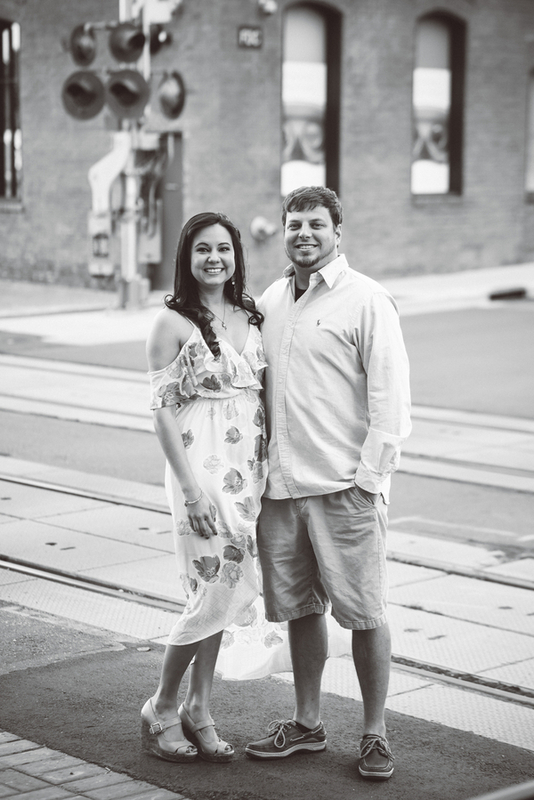 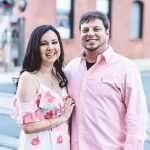 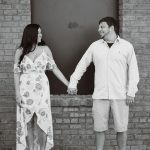 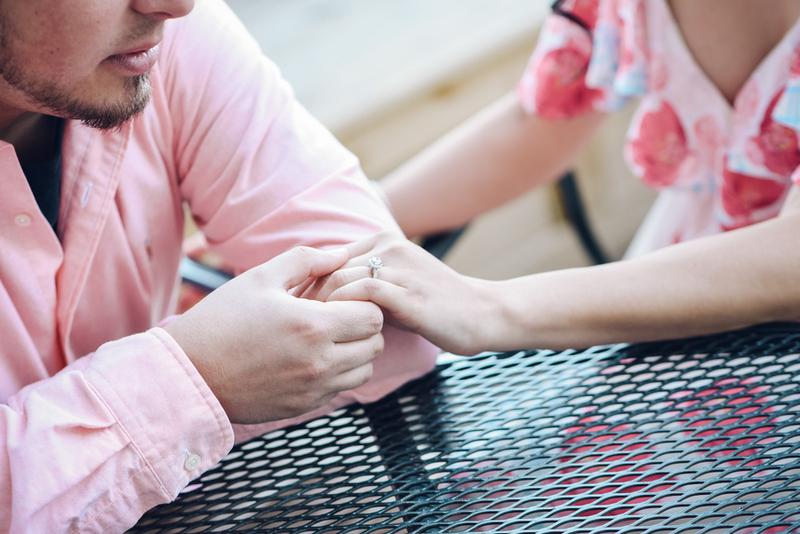 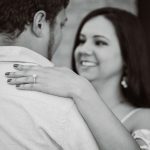 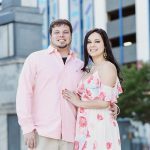 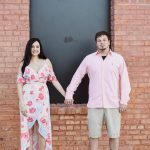 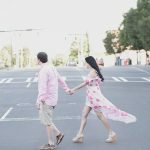 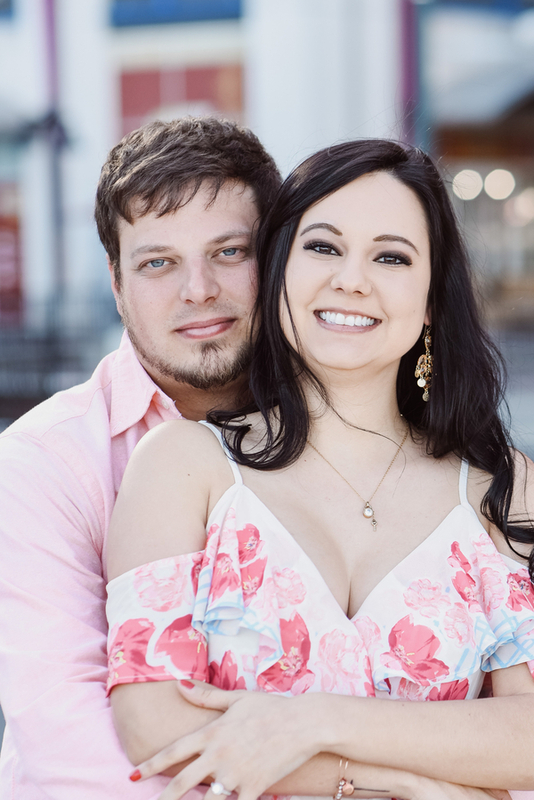 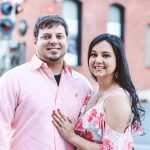 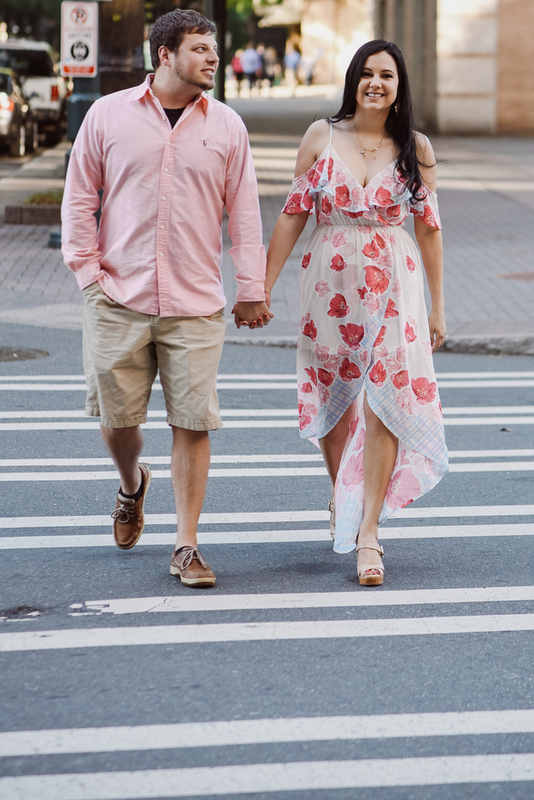 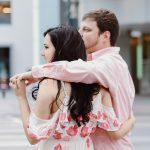 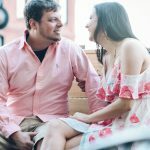 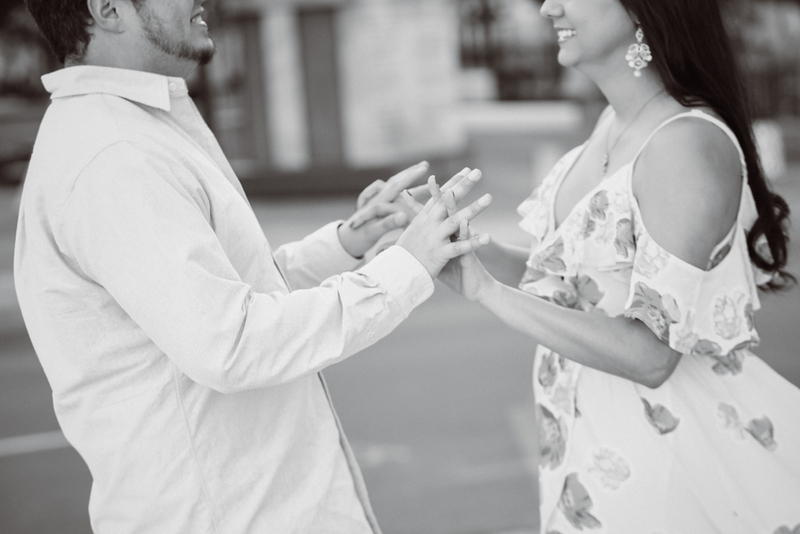 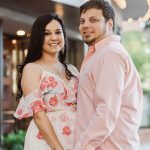 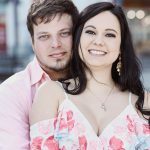 They agreed that their engagement session should be in uptown Charlotte, North Carolina. 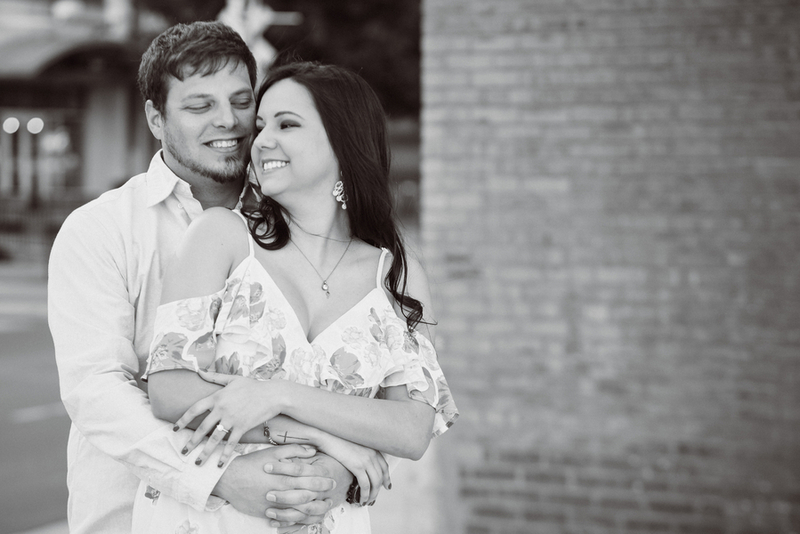 Alana has a sweet and bright personality, so a more glam shoot was definitely the way to go, while keeping a filmy, romantic feel as well.